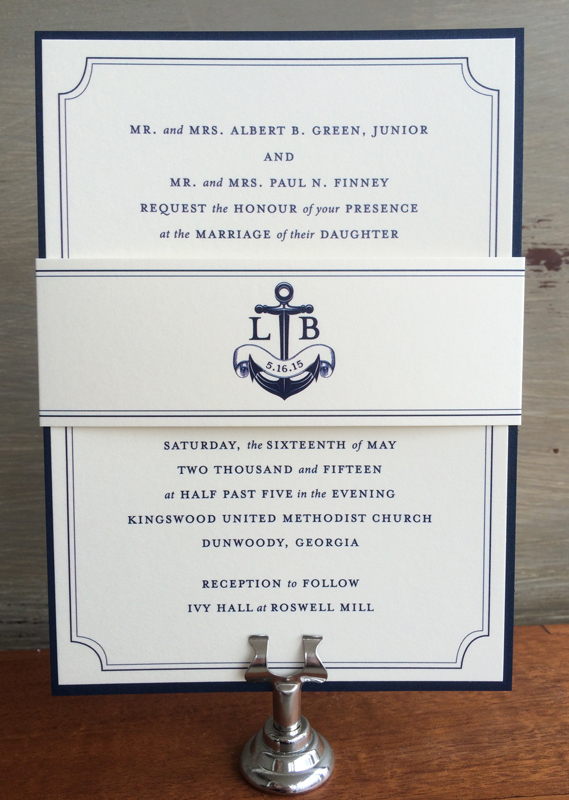 Bradley is a classic invitation with an anchor monogram for the Nautical or Military (Navy) wedding. 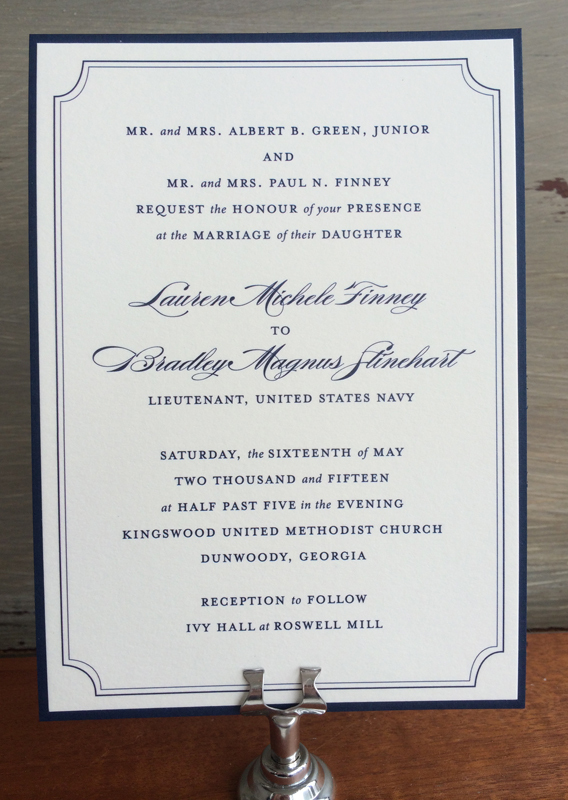 The photos below show the monogram on a belly band instead of the invitation and a navy backer (cardstock) framing the invitation. 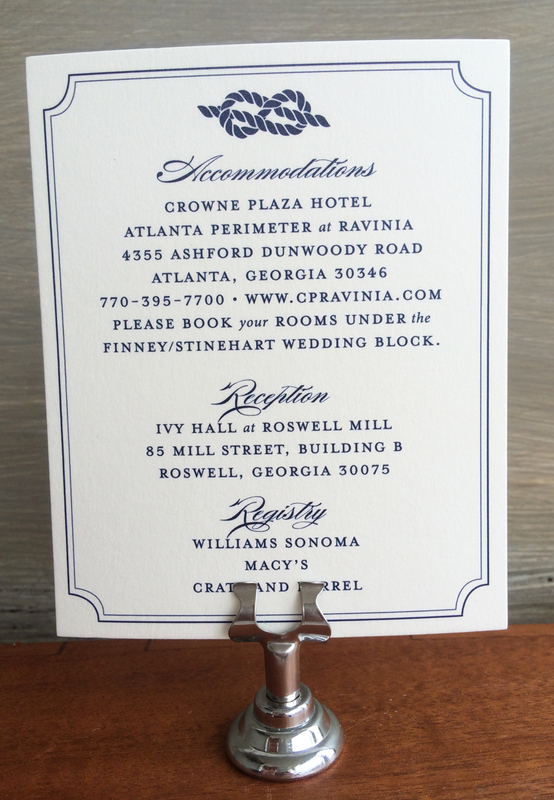 Ink colors, fonts, paper choices, and other options can be customized for your own wedding style. If you want to add a monogram, envelope liners (we also have custom pattern liners), backers (cardstock mounted to the back- we have unlimited paper choices), pocket folds, wooden veneers, or other embellishments, please contact us! The sky is the limit to what we can do with our printing, paper, and designs. 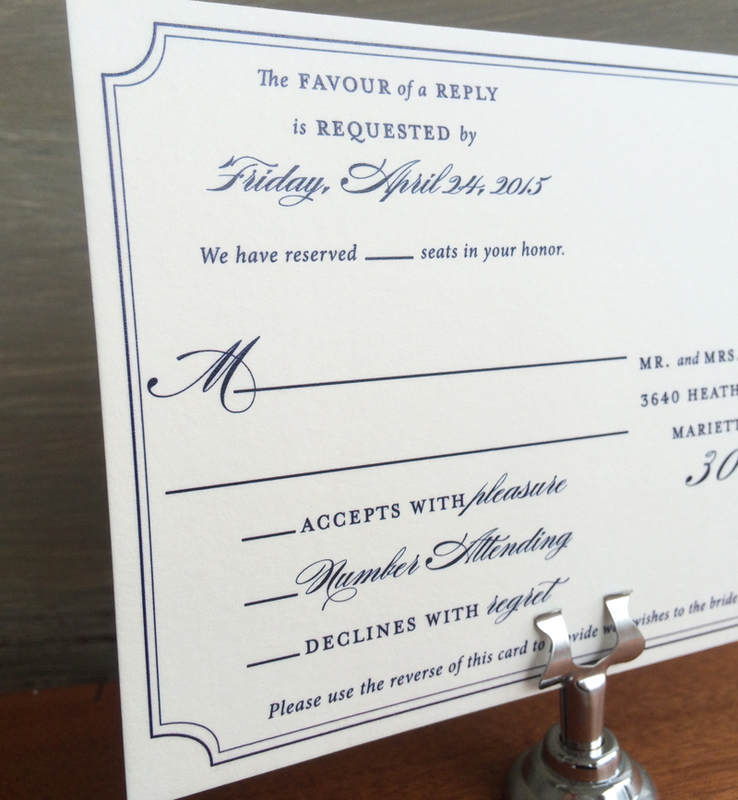 We specialize in custom invitations, and we are more than happy to discuss your vision over email or a phone consultation.